I love the beach. Have always loved the beach. Fred has indulged me all of our married live by taking me to dip my toes in salt water at least once a year to keep me happy.We have visited many beaches in the last 40 years but never those of the Gulf Coast of Texas. We have experienced Gulf beaches in Florida enjoying their soft white sand, shallow waters and gentle wave action. 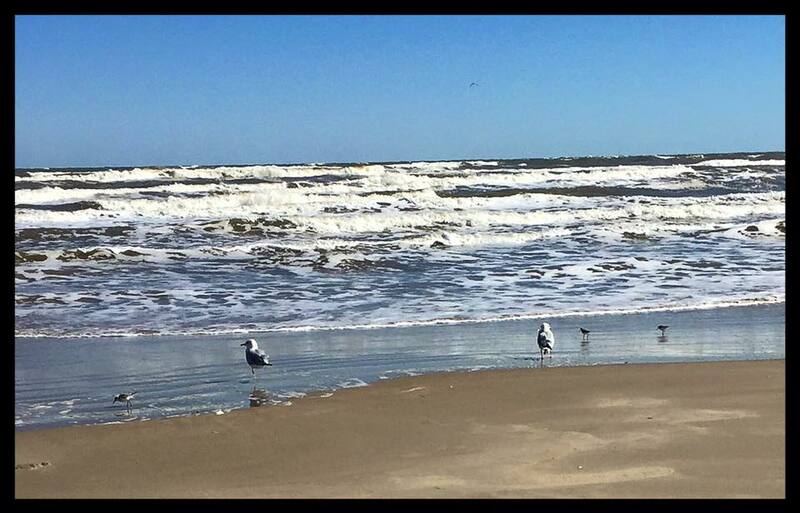 We wanted to see how Texas beaches compared to those of the Sunshine State so we made our first stop Corpus Christi Texas. We are staying at Naval Air Station Corpus Christi which is located right at the southeastern end of Corpus Christi Bay. We can see the JFK causeway and bridge crossing the Laguna Madre from our campsite. 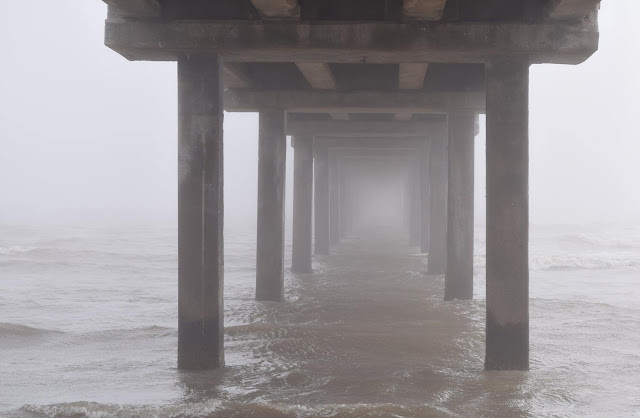 Mustang Island and South Padre Island are located on the other side of that bridge. That's where the beaches are. The drive to get to them is beautiful. We can be on the causeway in about 5 minutes, once we clear the gate. We enjoy the drive across the 4 1/2 mile long causeway/bridge. It is quite common to see water birds like Great Blue Heron and Snowy egrets fishing in the shallow waters. Gulls and pelicans populate the tiny islets and fishermen set up for the day enjoying their sport. 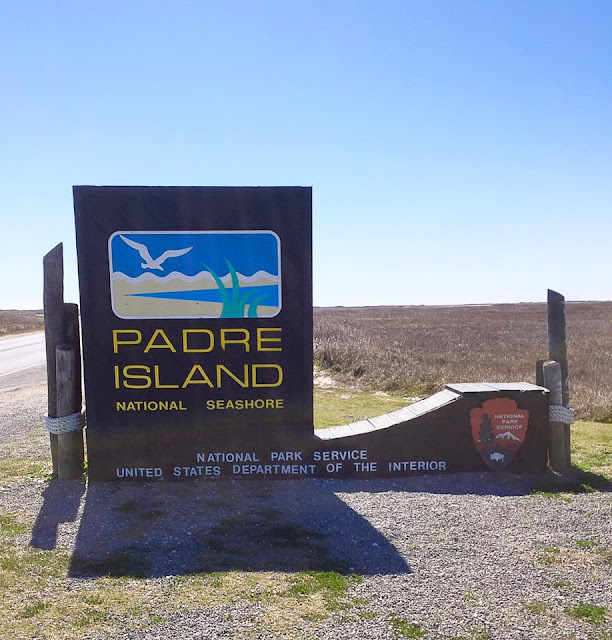 There are several cutoffs on the causeway that allow motor vehicles access to the Laguna Madre's hyper-saline coastal lagoon that provides a great fishing spot for local anglers. We don't fish but have been told that they are after spotted seatrout and red drum. Once past the Marinas the Bridge rises up to cross the Inter-coastal Waterway giving you a view from the tip of Port Aransas to the North and down Padre Island to the South. The beach in Port Aransas is about 6 1/2 miles long. We chose the Northern end of it as we could park there without a beach parking permit between the Jetty and Horace Caldwell pier. The free parking beach is less than a mile long but great for a picnic and to walk the shore. The jetty and the pier attract fishermen in droves. 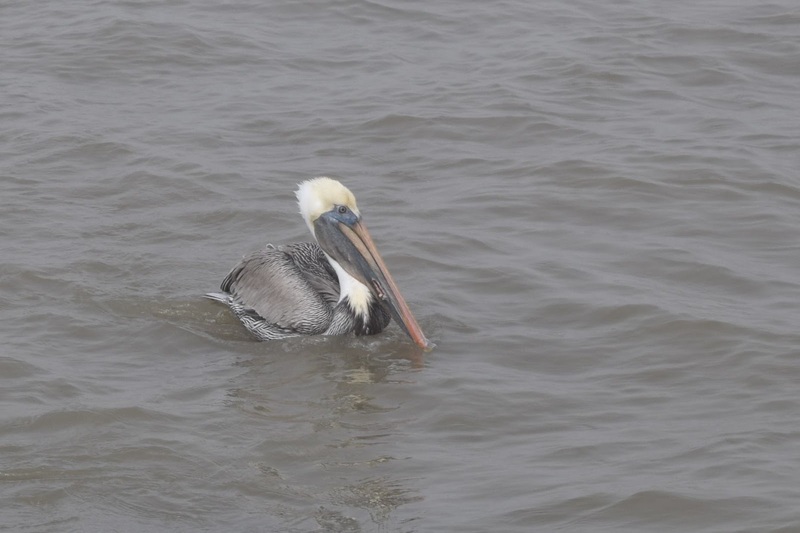 It is funny to watch the pelicans settle in near them to wait for scraps and handouts. It is not crowded in January and February and no one was swimming but we all enjoyed the sun and the sand. The jetty is formed by huge chunks of pink granite that were once topped by some type of macadam. Most of that has eroded away and you must navigate by stepping and jumping from rock to rock. We observed shrimp boats, tour boats and a barge entering and leaving the harbor and passing close to the jetty. We found that the beach can be foggy in the morning but the fog lifted by noon and allowed us to enjoy the sun. We were surprised to see people camping right on the beach and learned that for a fee you can park your rig in the sand and enjoy the ultimate beach experience. The beach at Padre Island National Seashore is a thing of beauty. We found miles of sand and surf, wind drifted dunes, grasslands and tidal basins. The folks at the Visitors Center were very welcoming. They told us a lot about the National Seashore. We learned that Padre Islands 70 mile protected coastline is the worlds longest stretch of barrier island in the world and that it provides nesting areas for the endangered Kemp's Ridly Sea Turtle. The rangers at the visitor center lead bird watching and beach walking tours as well as give lectures at the campgrounds amphitheater several times a week. We walked the beach at the visitor center and then started down the beach road. You can drive the length of the seashore if you are brave enough and have 4 wheel drive. There were quite a few people on the beach fishing. We saw a few campsites set up nestled in toward the dunes. The farther south we drove the less populated the beach was. We drove for about 6 miles before turning around. I would love to go back early on another day and have the time to drive farther. We were told there are great shell beaches about 20 miles in. You just have to plan your trip and leave enough time to account for the 15-25 mile an hour speed limit. We had fun thinking people driving to the southernmost points and setting up camp for a while. Texas Gulf Coast beaches are very different from Florida Gulf Coast beaches. 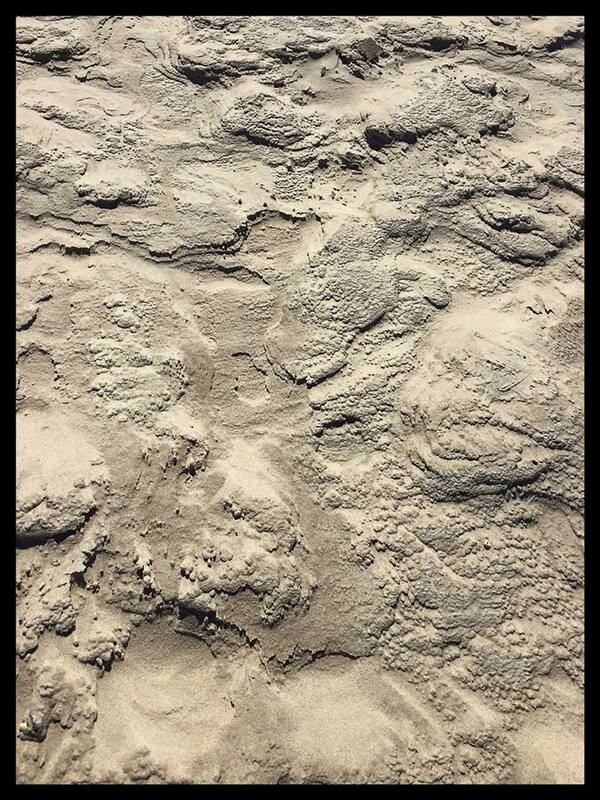 The sand here is a taupe color somewhere between grey and tan. The texture is different too not the soft powdered sugar that we are accustomed too. The wind is strong here and it drifts the sand into short formations that remind me of a lunar landscape. 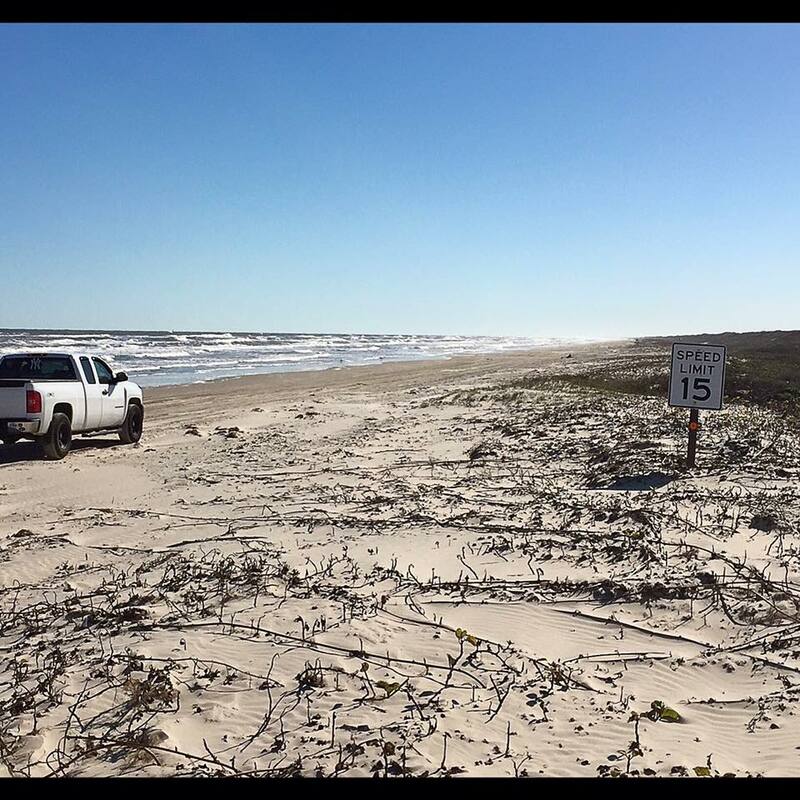 Texas beaches have fewer restrictions. We found them to be very accessible. The sounds of the gulls, the smell of the surf and the peace that I feel from being near the water are universal. 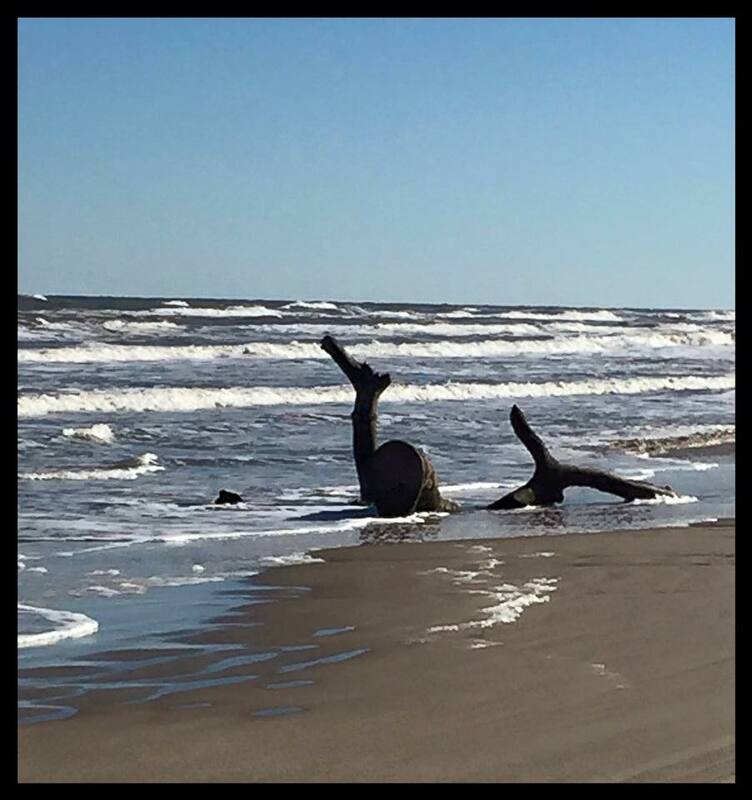 To see more Texas Beach photos visit our Flickr Album. It really is. We are enjoying the differences and have even had to get out the birding book since the gulls and shore birds are not what we are accustomed to seeing.